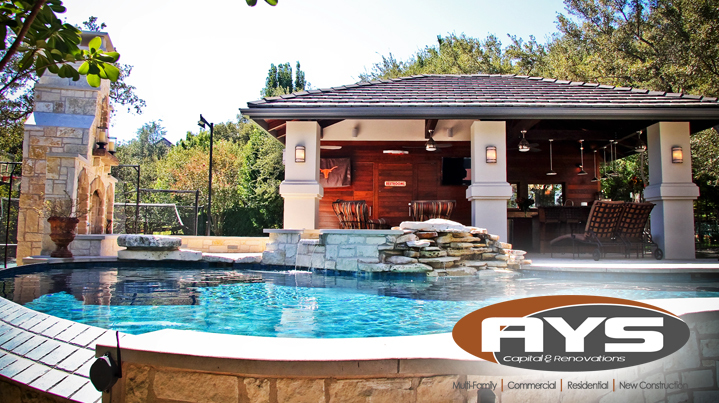 Since 2010, when Joey Susan decided to start his own company after 25 years of working in the Austin Construction community, high-quality work and excellent customer service have been the main goal for AYS Capital and Renovations, LLC. We pride ourselves in the attention to detail and craftsmanship we can bring to every project. Our project management, subcontractors, specialty trades, and highly trained in-house office staff are eager to translate your unique home design ideas into reality. Here at AYS Capital and Renovations, LLC we understand that your home is your greatest investment. That’s why we work hard to keep clients informed and ensure the timely completion of projects. Throughout construction, our project management team provides clear communication to clients and design teams through weekly status emails or onsite meetings. Contact us today to start the process of completing your dream renovation, addition or remodel. After we complete your project, look to AYS Capital and Renovations, LLC for small improvement projects, repairs, and regularly scheduled maintenance. We make it easy to keep your property at its new level of excellence by using the same team that built it! From small fixes to big repairs, count on your experienced team here at AYS Capital and Renovations to help maintain your property’s condition and value. AYS Capital and Renovations brings commercial, residential and multi-family homes 25 years of experience in renovation and remodeling to make your property suit your current and future needs. Call us for an onsite consultation. We offer this visit at no charge to our clients. We will review your current layout and any design ideas to mold the perfect remodel or home improvement project that is realistic and within your budget. We stand behind our work. We are insured and offer written warranties. We have the finest trades working at your property that are licensed and insured. We are committed to making the process an enjoyable experience so that you may refer our company to others. Over 90 percent of our future projects come from existing clients or their friends. Multi-Family, Residential, Commercial, and Multi-Family... we do it!